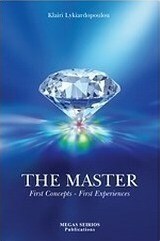 In this first volume of the series The Master the author speaks of her experiences as a result of her meeting the Master, Dimitris Kakalidis. She cites the questions she asked, and her disagreements with his answers. She describes how he responded in such a way as to help her understand concepts that were unknown to her. As she herself says, she was not an easy disciple, but she did not want to end her discipleship. She wanted to follow his teaching because she could see the spirituality that he transmitted to all his disciples. The teaching of Dimitris Kakalidis was not confined to theory: he also taught how to carry it into practice. The chapters of this book reveal this learning process. The primary aim is to bring people to a recognition of their true being. This is followed by the development of the spirit, which gives them self-belief. Only then can they begin to express the power of their true nature through specific actions. Γράψε μια αξιολόγηση για το The Master και βοήθησε σημαντικά τους άλλους χρήστες!